The U.S. Department of Education requires schools to provide potential and current students with Consumer Information and disclosures of specific information regarding graduation rates and retention rates. The summary and location of the consumer information are provided in the Consumer Information Notice distributed to all potential students through the financial aid office. 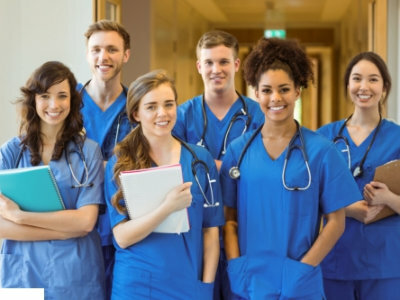 Adonis College of Nursing provides this information to all currently enrolled students each of the subsequent years, unless there are updates, which are provided at the time of the change. In addition, ACON provides the on-time graduation rate, program cost, placement rate and possible employment outcomes on each program page on the ACON website located at Student Disclosure Information. Furthermore, links to these web pages are located on all promotional materials provided to potential students. This Catalog houses policy for all programs offered by the Adonis College of Nursing. The information in this catalog and other school publications is subject to change with approval of the ABHES & IBHE. Rapid developments in technology and continuing efforts of ACON to meet the needs of its students require periodic revision of class content, scheduling, and policies. The Institute reserves the right to make alterations to this Catalog and the policies housed within as deemed necessary.